Easily Edit or Remove EXIF Data From Photos in any device that is Windows or Mac PC or your Android or iPhone with all the discussed methods for these to quickly change or fake the details of the information that any photo carries with it. You might be thinking that what is EXIF data and how could anyone remove any data inside the Image file or the pictures as this can result in image destruction etc. But wait, one thing that you might be knowing about your photos is that it do carries along some small amount of information like camera model, location, date and time, etc. that are simultaneously tagged into your pictures and can be accessed through checking info of the pics, this data that the photos have induced within their files is called the EXIF data of the pictures. As this EXIF data is bundled directly with the photos file only and not as a separate file, hence this information also gets transferred with the picture while you share any of your pics. Some of the exceptions are WhatsApp, FB, Twitter, etc. as these automatically removes the EXIF data from the Pics while sharing. 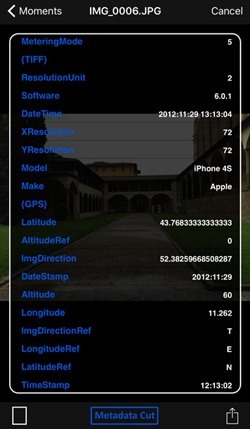 If you don’t want to share your location where the pics were taken or any other such info that the EXIF data carries then you will have to remove that data and to do that, you will have to follow up some methods that are given in this article. Just go and read up this article to know about the process. Below are all methods that you need to follow to remove the EXIF data from photos. So follow up the below methods to proceed. 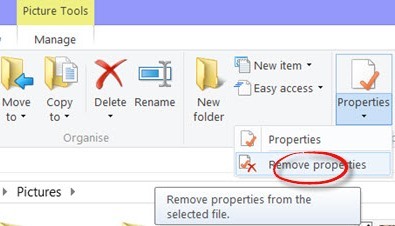 If you are using the Windows PC to view up your photos, then you can easily remove up the EXIF data from any of your pics by just going to the Properties of any image file and then in the panel that appears select up the “Remove Properties and Personal Information” under the Details tab. Now if you are working on the Mac platform then to remove up the EXIF data of any photo, you have to open up your desired photo in the Photos App and then you will just have to drag and drop that picture into the another 3rd party app named ImageOption (that you will have to install before) and it will automatically remove up the EXIF data of the Photo. 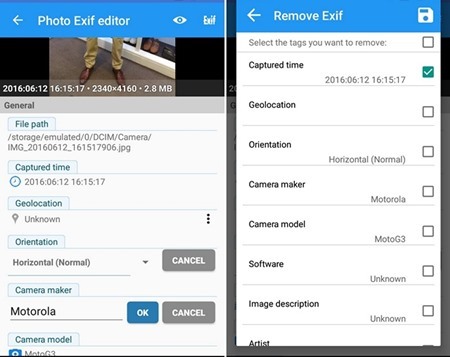 If you are running any of the Android devices, then there is a 3rd party App named Photo Exif Editor that is made for just that very purpose as the name of the app already suggests. Just install this app and use it to remove up the EXIF data from your images. Like Android only, there are some great apps made for iOS that can be used to remove the EXIF data of the Photos. These apps are ‘MetaData Remover App‘ and ‘Metapho App‘ , you just have to open any image using these apps and then click on the remove metadata options within the App and your work will be done. So these were the different methods by which you can easily remove up the EXIF data of any of the Photos by using alternate operating platforms. If you also want not to share your data with your pics to anyone, then you should try using any of the above methods to get rid of that data for your images.